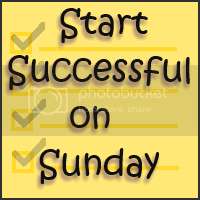 I’m linking up today to both Start Successful on Sunday over at Felicia’s Red Door Life and to Menu Plan Monday over at Organizing Junkie. I’ve been participating in both of these regularly lately, and since menu planning is actually one of those things that help make my week a success, the two of them together makes a great start to my week! Currently rainy. But it’s mid-July and I live in Texas. It’s gonna be a hot one! Revisions on diphthong paper – still in progress! Set up bedroom with new dresser – done! Have individual dates with the boys – ongoing! 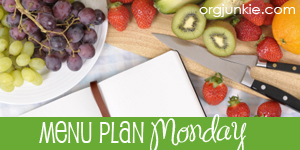 Menu plan and stick with it! – done! Research on International Destinations – still in progress! My newly-painted dresser. Don’t hate on my beautiful orange-ness! Prepping my overnight oats – yummy and easy! This is a Trim Healthy Mama menu plan in which I’m attempting to mix up my meals by having 1 E (= Energizing), 1 S (= Satisfying), and 1 FP (= Fuel Pull) meal each weekday. I’m also linking up this menu to Trim Healthy Tuesday over at Gwen’s Nest and Stacy Makes Cents – come on over and find all kinds of other things to put in your mealplan! The Home Depot kids workshops were fun for our son when he was little. We love those too – between Home Depot and Lowe’s, there’s a workshop 3 weekends of the month! A fellow Baked Oatmeal lover. Thanks for linking up your awesome menu! I love meal planning. For realz. I have never been a menu planner until recently but I really feel like it’s making a difference, if for no other reason that I know what I’ve got in the fridge/freezer as options! Isn’t Jeremiah 29:11 such a great promise? It’s my life verse! I loved reading your post. I especially loved reading that you are working on a dipthong paper… and wondered how many other readers besides me understood what a dipthong is! Lol. haha – I did wonder that same thing when I posted that!